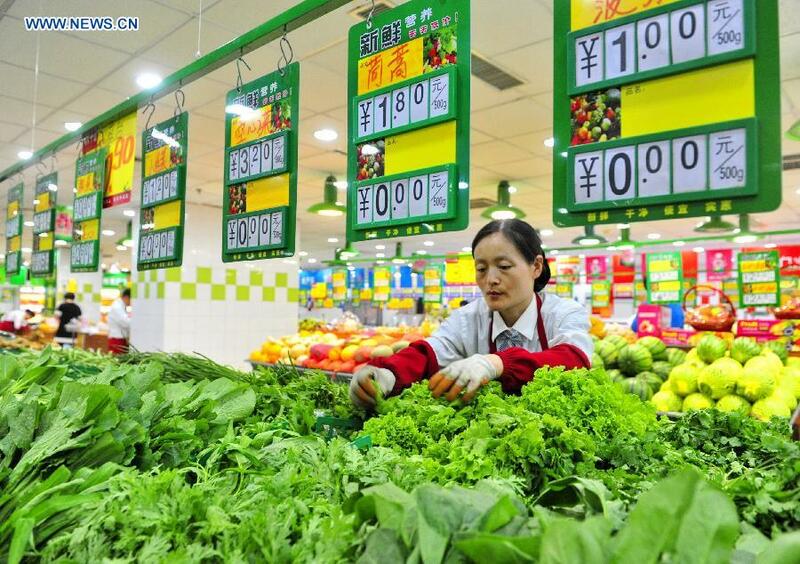 China's consumer inflation remains steady in 2018 and is expected to maintain a mild rate this year, giving policymakers room to maneuver. The consumer price index (CPI), a main gauge of inflation, rose 2.1 percent year on year last year, data from the National Bureau of Statistics (NBS) showed on Thursday, well below the government's target to keep the CPI increase at around 3 percent in 2018. The annual figure rose from 1.6 percent for 2017 and exceeded 2 percent for the first time in the past four years. NBS data also showed CPI rose 1.9 percent year-on-year in December, down from 2.2 percent for November. Food prices rose 2.5 percent year-on-year, unchanged from the previous month, while non-food prices went up 1.7 percent year on year, down 0.4 percentage points from November. On a monthly basis, non-food prices dipped 0.2 percent, dragging down the CPI by 0.18 percentage points. Lian Ping, chief economist with the Bank of Communications, attributed the slowdown of CPI to the reduction of gasoline and diesel prices in December. Prices for gasoline and diesel dipped 0.5 percent and 0.3 percent year on year, respectively, compared with the 12.8-percent and 14.2-percent gains in November 2018. "The decline of non-food shows that domestic demand is weak," Lian said. The producer price index (PPI), which measures costs of goods at the factory gate, rose 0.9 percent year-on-year in December 2018, down from the 2.7 percent growth in November, according to the bureau. For the whole year, PPI rose 3.5 percent year-on-year, down from 6.3 percent growth in 2017, according to the NBS. China's counter-cyclical adjustment and more investment on infrastructure will boost market demand, contributing to a steady PPI growth in the future, Lian said. ​China's consumer inflation remains steady in 2018 and is expected to maintain a mild rate this year, giving policymakers room to maneuver.